The 1 month free offer is available on Petplan Equine horse and veteran policies only, available both online and over the phone. This offer is open to residents of Great Britain. This offer only applies to new Petplan Equine policyholders. Any existing Petplan Equine customers or those who have previously cancelled or lapsed or otherwise terminated their Petplan Equine policy within the last 3 calendar months of new cover incepting will not be eligible for this offer. If you cancel your Petplan Equine policy before 14 days, you will not be eligible for 1 month free. This 1 month free offer is not valid in conjunction with any other offer. All new Petplan Equine policyholders qualifying under these terms and conditions for the 1 month free offer are deemed to have accepted and agree to be bound by the terms and conditions of this offer. All employees of the Allianz UK group (as well as their immediate families), subsidiaries and associated companies of Allianz, and anyone directly involved in the running of this promotion are excluded from claiming the offer. Petplan Equine reserves the right to amend, remove or change the terms and conditions of this offer at any time without prior notice. This promotion and these terms and conditions are governed by the laws of England and Wales and the courts of England and Wales shall have exclusive jurisdiction over any dispute arising out of or in connection with this promotion. Twelve winners will be chosen at random from all of the entries received by Petplan Equine prior to the closing date. The closing date for entries is 11:59pm on 19th April 2019 and the winners will be notified by 24th April 2019. The winners will win a pair of tickets to the Mitsubishi Motors Badminton Horse Trials course walk with Lucinda Green on Wednesday 1st May. Each ticket grants one person access to the Mitsubishi Motors Badminton Horse Trials Course Walk on Wednesday 1st May. Petplan Equine will not cover any travel expenses to or from the venue. To enter the prize draw, eligible entrants must fully complete and submit the entry form during the promotional period. Entry is free and is open to those aged 18 years old or over and proof of identity and age may be required. Use of a false name or address will result in disqualification. All entries must be made by UK residents. All employees of Petplan (and the associated Allianz UK Group), their immediate families and anyone involved in the promotion of the prize draw, including any printers and agents, suppliers of the prize and any other companies associated with the prize draw, are excluded from entry. Only one entry may be made per person. Petplan Equine will disallow duplicate entries where it finds them. Entries made online using methods generated by a script, macro or the use of automated devices will be void. Prizes shall be awarded at Petplan Equine’s discretion and if it considers any entrant has acted inappropriately or dishonestly in entering into the prize draw, it reserves the right to refuse to award the prize. No purchase is necessary to claim the prize. The winners will be confirmed by phone. If they cannot be contacted within a reasonable period of time, Petplan Equine reserves the right to offer the prize to the next eligible entrant drawn at random. No responsibility is accepted for lost entries, delayed entries or mis-transmitted entries. The winners’ names will be made available upon request after Wednesday 24th April by emailing equinesocial@petplan.co.uk. Prizes are as stated and are subject to availability and the suppliers' terms and conditions. In the event of any prize being unavailable for any reason outside Petplan Equine’s control it reserves the right to offer an alternative prize of equal value. 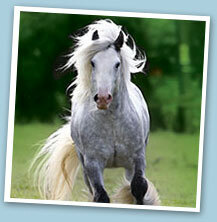 Petplan Equine is not responsible for the quality of any goods or services supplied. The prize is non-transferable and there is no cash or other alternative. The prize may be taxable and the winner will be responsible for any tax arising. The prize will be sent within 3 days of notification as long as valid contact details are provided. Petplan Equine’s decision is final and no correspondence will be entered into and it reserves the right to amend or alter the terms of the prize draw. The winners will participate in all required publicity and Petplan Equine reserves the right to publish the names and photos of the winners in post event publications and on the Petplan Equine website and/or social media sites. The winners will reasonably cooperate with publicity as a result of winning. Contact information about entrants is collected by Petplan Equine in order to contact them about the promotion and where appropriate award prizes. By entering into the prize draw, all entrants will be deemed to have accepted and be bound by these terms and conditions. These terms and conditions shall be governed by the laws of England and Wales. The promoter of this prize draw is Pet Plan Limited (“Petplan Equine”) whose registered office is at 57 Ladymead, Guildford, Surrey GU1 1DB. One winner will be chosen at random from all of the entries received by Petplan Equine prior to the closing date. The closing date for entries is 11:59pm on 7th April 2019 and the winner will be notified by 30th May 2019. The winner will win a Rambo Micklem Competition Bridle. The prize shall be awarded at Petplan Equine’s discretion and if it considers any entrant has acted inappropriately or dishonestly in entering into the prize draw, it reserves the right to refuse to award the prize. No purchase is necessary to claim the prize. The winner will be confirmed by phone. If they cannot be contacted within a reasonable period of time, Petplan Equine reserves the right to offer the prize to the next eligible entrant drawn at random. The winner’s name will be made available upon request after 30th April 2019 by emailing equinesocial@petplan.co.uk. The prize is as stated and is subject to availability and the suppliers' terms and conditions. In the event of the prize being unavailable for any reason outside Petplan Equine’s control it reserves the right to offer an alternative prize of equal value. Petplan Equine is not responsible for the quality of any goods supplied. The prize is non-transferable and there is no cash or other alternative. The prize will be sent within 30 days of notification as long as valid contact details are provided. The winner will participate in all required publicity and Petplan Equine reserves the right to publish the name and photo of the winner in post event publications and on the Petplan Equine website and/or social media sites. The winner will reasonably cooperate with publicity as a result of winning. All entries and any copyright subsisting in the entries become and remain the property of Petplan Equine. Contact information about entrants is collected by Petplan Equine in order to contact them about the promotion and where appropriate award prizes. The closing date for entries is 11:59pm on 22nd March 2019 and the winner will be notified by 27th March 2019. The winner will win a pair of tickets to the NAF Five Star Winter Dressage Championships Gala Performance on Saturday 6th April. Each ticket grants one person access to the NAF Five Star Winter Dressage Championships Gala Performance on Saturday 6th April. The prize does not cover any travel expenses to or from the venue. To enter the prize draw, eligible entrants must like the Petplan Equine Facebook page and tell us who they want to bring with them if they win in the comments on Petplan Equine’s promotional post dated Monday 11th March. The winner’s name will be made available upon request after 27th March 2019 by emailing equinesocial@petplan.co.uk. The prize is non-transferable and there is no cash or other alternative. The prize may be taxable and the winners will be responsible for any tax arising. The tickets will be sent within 3 days of notification as long as valid contact details are provided. This prize draw is in no way sponsored, endorsed or administered by, or associated with, Facebook. Eligible entrants understand and agree that they are providing their information to Petplan Equine and not to Facebook. By entering this prize draw, each eligible entrant releases Facebook from any action or claim arising out of the prize draw. Any questions, comments or complaints regarding this prize draw must be directed to Petplan Equine, not Facebook. Petplan Equine is a trading name of Pet Plan Limited (Registered in England No. 1282939) and Allianz Insurance plc (Registered in England No. 84638), Registered office: 57 Ladymead, Guildford, Surrey, GU1 1DB, United Kingdom. Petplan Equine's trading address is: Great West House (GW2), Great West Road, Brentford, Middlesex, TW8 9DX. Petplanequine.service@allianz.co.uk. Pet Plan Limited is authorised and regulated by the Financial Conduct Authority. Financial Services Register No. 311969. Allianz Insurance plc is authorised by the Prudential Regulation Authority and regulated by the Financial Conduct Authority and the Prudential Regulation Authority. Financial Services Register No. 121849.